Last night was the final campaign event for Team Giattino with one week before Hoboken's key mayoral and council at-large election. A surprise appearance among the dozens of revelers: the former NJ Democratic Senate Majority Leader Bernard Kenny. 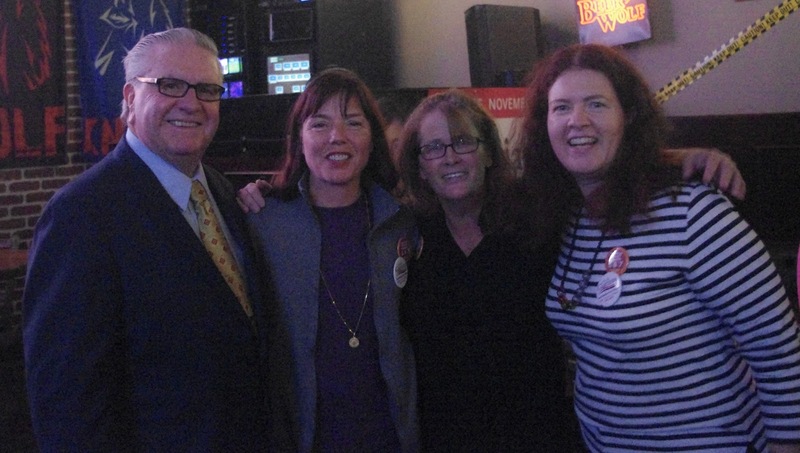 The former NJ Democratic Senate Majority Leader Bernard Kenny joins the Hoboken mayoral candidate and City Council President Jen Giattino, BoE trustee Irene Sobolov and Hoboken reform activist Deirdre Wall at Wicked Wolf.